Alastair is a man of ever-extending musical horizons and, depending on the venue is described as a folk-singing banjo player who also plays jazz or the jazz banjo player who also does folk music! 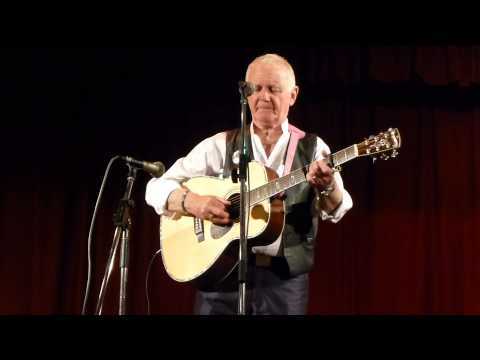 In 1970 he became a full-time professional musician and since then has taken his music to the USA, Denmark, Thailand, East Africa, Israel and numerous places in between – with Scotland always being where he does most of his work. Equally at home in folk clubs, jazz venues, concert halls, theatres or churches – Alastair’s aim is to share some of the very best of his wide repertoire. Scottish historical ballads, Gospel, humorous music hall ditties, Gaelic laments are all covered by Alastair. Thought-provoking, wholesome, uncompromising, uplifting are the main criteria for Alastair’s choice of material. Glasgow born Alastair emigrated with his family at the age of eight to Australia. It was while growing up in the Australian outback that he developed an interest in ‘home made’ entertainment. Returning to Scotland four years later, there was a growing pop scene and skiffle had also arrived. At just 21, Alastair was already regarded as one of the leading jazz banjo players and the reason he can be still heard all over the country with various Jazz combos.